As usual, let me start this interview by stating (for new readers) that my reviews aren’t about the very technical aspect, they are about if the music is great or not, in my humble opinion, of course. I was given the opportunity to review an EP by the Polish band Thunderwar. It was a digital download, but I’ve also read about the physical form of this EP is limited to 500 copies and comes on a digipack. 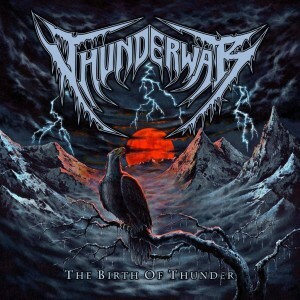 The album cover is great, designed by Mario Lopez, it’s indeed very well done and completely fits the music Thunderwar plays. Beautiful work. The band describes itself as cold as ice, angry as a horde of Viking warriors, and determined like an army fighting for freedom of their homeland. You might even think that this should be even considered a bit presumptuous, but you change your mind when you listen to their music. These guys deliver it! 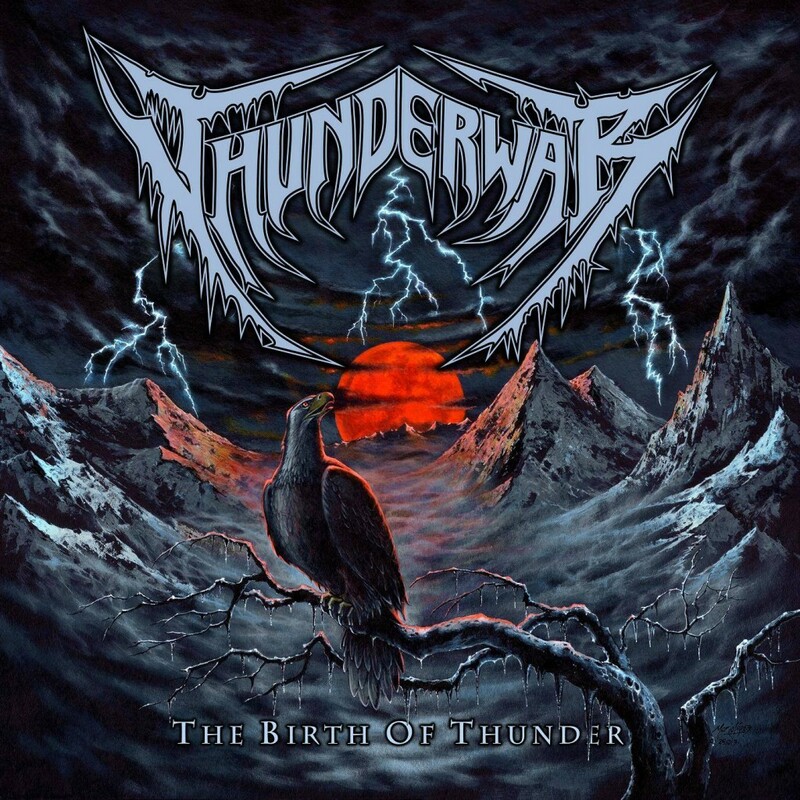 Since the band hails from Poland, Thunderwar already has to prove itself worth as we expect from the nation that gave us so many incredible Death and Black Metal bands. And, in my modest view, these guys proved themselves with this release. Of course it’s different when it comes to a full-length album; I wish that they will be able to keep this fascinating quality as well as the music being well-executed in all songs when they release a longer album. As for the music itself, the Thunderwar plays Epic Death Metal, with Thrash and Melodic Death Metal elements, stating as some of their metal heroes Bathory, Unleashed, Dissection and Amon Amarth. I believe I heard some newer Death influences as well, especially on the song Eagle of Glory. You can definitely hear the influences, but don’t make the mistake of thinking that Thunderwar copies their style. No, this band knows what they are doing and it’s their own material. The growls are very interesting, reminding me, in a way, of Obituary. The same can be said about the instrumental work, very well done! The music is indeed epic, fast and brutal, but still, in a way, “catchy”. Wieslawscy Bros from Hertz Studio, known for works with some of the Polish most well-know acts such as Vader, Behemoth and Decapitated. Keep this name in mind; they have everything to make it in the metal world.